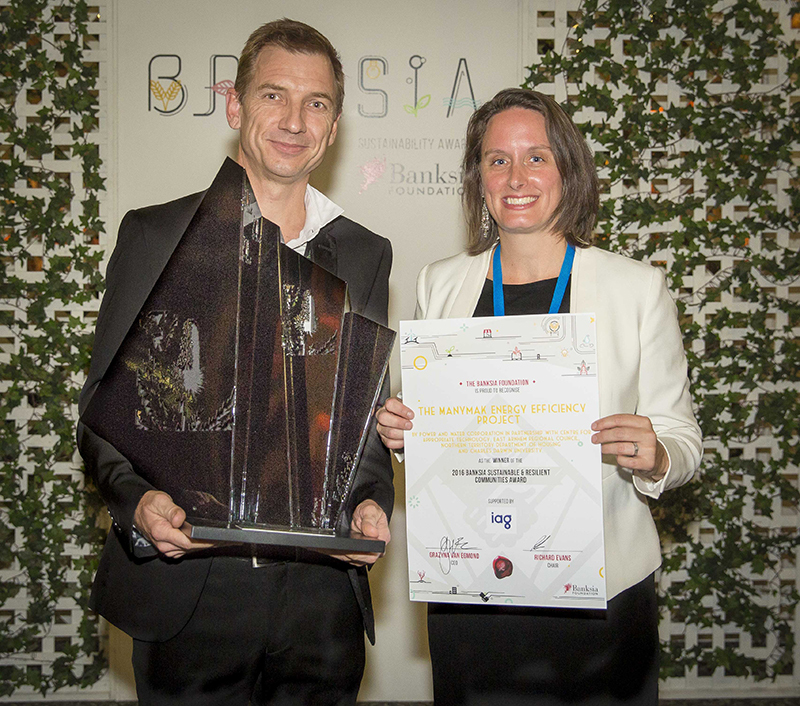 The Manymak Energy Efficiency Project has been awarded the Sustainable and Resilient Communities award at the Banksia Awards, which celebrate Australian sustainability initiatives. The Manymak project engaged over 500 East Arnhem residents through a community learning program about energy saving benefits and promoting energy efficiency. The project was a successful collaboration between the Department of Housing and Community Development, Power and Water Corporation, the Centre for Appropriate Technology, Charles Darwin University and East Arnhem Regional Council. More than 80 local community members were employed as part of the project, all of whom were vital in helping Yolngu households make informed choices about using power and water in their homes. The Manymak project created an opportunity for tenants to benefit from the installation of energy efficient products, and be educated about efficient use of power and water. Six communities were involved including Galiwin'ku, Gapuwiyak, Gunyangara, Milingimbi, Ramingining and Yirrkala. The project received funding through the Australian Government’s Low Income Energy Efficiency Program.